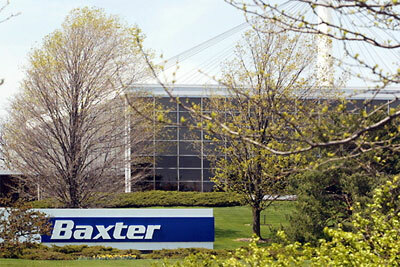 Illinois-based pharmaceutical company, Baxter International, was caught this month attempting to distribute Influenza vaccines contaminated with deadly live Avian Flu Virus to 18 different countries around the world, putting the entire human population at risk, and almost causing a global avian flu pandemic. Upon discovering both H5N1, and the human form, H3N2, in what should have been flu vaccines, the National Microbiology Laboratory in Canada thwarted the efforts of Baxter International by alerting the World Health Organization, who took quick and decisive action to prevent pathological disaster. Sara: Oh my God….this is frightening. Rayn: Another frightening idea: hordes upon hordes of sheeple, completely unphased by lies, comfortably spoonfed their disinformation by the same biased mainstream media monopoly that sold them WMDs and the Iraq War. Isn’t it interesting that the mainstream media didn’t see this story as “newsworthy”? (Mike Adams, NaturalNews) There’s a popular medical thriller novel in which a global pandemic is intentionally set off by an evil plot designed to reduce the human population. 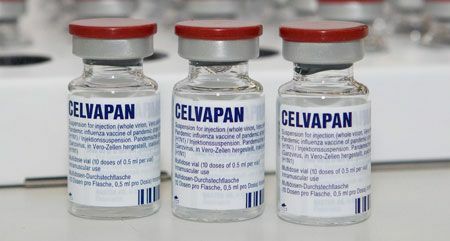 In the book, a nefarious drug company inserts live avian flu viruses into vaccine materials that are distributed to countries around the world to be injected into patients as “flu shots.” Those patients then become carriers for these highly-virulent strains of avian flu which go on to infect the world population and cause widespread death. My Commentary: Illinois-based pharmaceutical company, Baxter International, was caught this month attempting to distribute Influenza vaccines contaminated with deadly live Avian Flu Virus to 18 different countries around the world, putting the entire human population at risk, and almost causing a global avian flu pandemic. Upon discovering both H5N1, and the human form, H3N2, in what should have been flu vaccines, the National Microbiology Laboratory in Canada thwarted the efforts of Baxter International by alerting the World Health Organization, who took quick and decisive action to prevent pathological disaster.